For convience, I chose to copy the couchdb directory with executables and configuration files to the couchdb home directory. Make sure you are in the couchdb directory under the release (rel) directory. 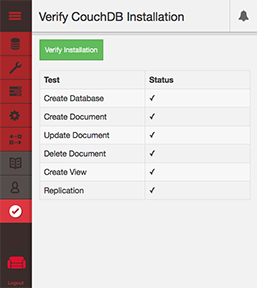 Copy the contents of the …/rel/couchdb to the couchdb home directory. Under the chttp section, change this line to enable remote access from any IP address. 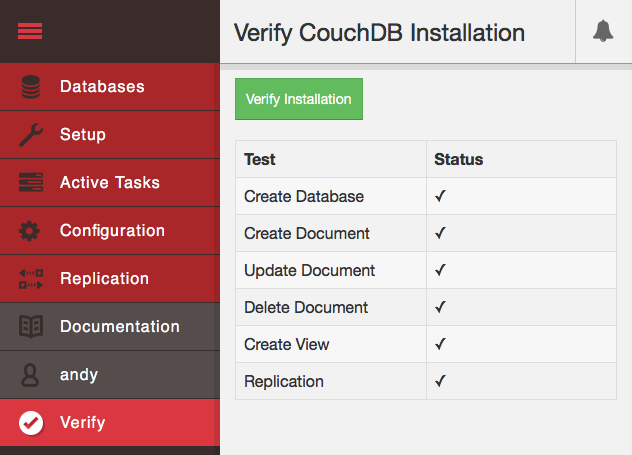 You should now be able to run CouchDB. 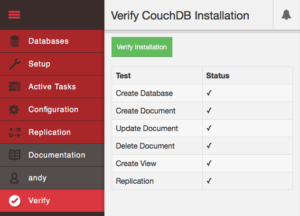 It needs to be run as user: couchdb. That’s excellent, the only issue I had is that erlang-reltools, is actually erlang-reltool without the “s”. Quick question, what would be the best way to make it so that couchdb starts on startup? I now have the couchdb set up as a headless server. Thanks for the feedback. I have updated the instructions to fix the “apt-get erlang-reltool”, dropping the extraneous “s”. For auto-start of CouchDB, you might move couchdb directory to something like /usr/bin and create a service file for autorun. See the “service” command docs. though I didn’t need the flags -i and -u to log in, though currently I am still running admin party to get this going. So this has worked for me, bear in mind that as you are running everything from /usr/bin, you will need to sudo everything or just do everything as root. I followed the instructions of that tutorial and am able to run the db in single node mode, but I’d like to run a cluster on several RaspPi. I don’t get it running. Everything works fine until I am doing the Setup. Adding same credentials on every Pi, editing bind_address to 0.0.0.0, setup cluster, add IP of other nodes… and create cluster. But when I have a look at _membership the other nodes are only shown at cluster_nodes, but not at all_nodes. When I add a db at one node it is not synchronized to the others. I know its off-topic, but I really could use some help. I’ve been running couchdB 2.0 on a pi 3 for a short while and am finding that the erlang runtime beam.smp seems to use a lot of cpu even when doing very little. At startup it can be p to 300% (e,g, 3 cpus at 100%) and even at “rest” its using about 65% to 200%. Have you any ideas of how to get it to run more efficiently ? any tweaks to the runtime for instance. Still a little typo: “sudu chown couchdb:couchdb /home/couchdb” needs to be sudo of course. Fixed in blog entry. Thanks for the heads-up! Thanks to Andy and Rob for the great tips. When I follow this to the letter the ‘make release’ fails – it appears there’s an erlang problem. The last few lines that show the failure are below. Any ideas how to resolve this? Hi Che, I followed my instructions and “copied and pasted” all commands — and had NO problems. I started with a new image of Raspbian Jessie with Pixel, dated: 2017-04-10 on a Raspberry Pi 3. I did the usual update/ugrade. As user: Pi, I followed my instructions and, as I said, copied and pasted all commands. Please ensure you obtained a “fresh” download URL from http://couchdb.apache.org/#download Check all owners & permissions 😉 You might email a full transcript of your session if you are still having issues.